Create bright, glittering designs, multicultural faces and figures, and more with fun and flexible Creativity Street WonderFoam Sheets. The sheets cut easily with scissors, and pieces can be glued or sewn together. The water-resistant foam sheets are 1/16" thick. Glitter Colors — Add sparkle to any project without a lot of mess. 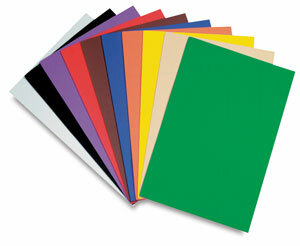 This pack of 10 sheets includes White, Silver, Gold, Orange, Red, Pink, Green, Blue, Purple, and Black. 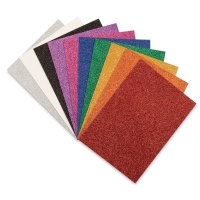 Multicultural Colors — This pack of 10 includes three sheets each of Peach, Tan, and Brown, and one sheet of Dark Red. Assorted Color Sheets — This pack of 10 includes White, Black, Red, Royal Blue, Purple, Yellow, Kelly Green, Orange, Brown, and Flesh.